The holidays are fast approaching, and ’tis the season for giving and receiving. Of course I’d love to give thoughtful and quality gifts for my friends, but why not do that AND save some $$? on all full price and sale items. I’ve put together a list of potential holiday gifts for the stylish, fashionable friend. 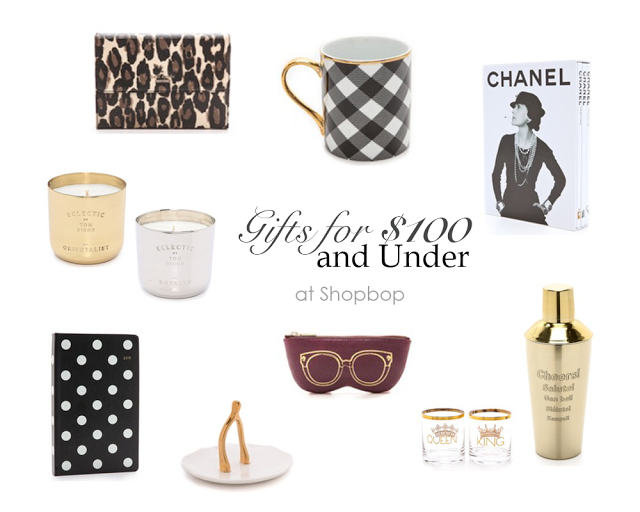 Shopbop has a vast selection of holiday gifts this year, ranging from interior decor items to office supplies, clothing and jewelry. Might as well grab something for yourself while you’re at it! This post is sponsored by Shopbop. 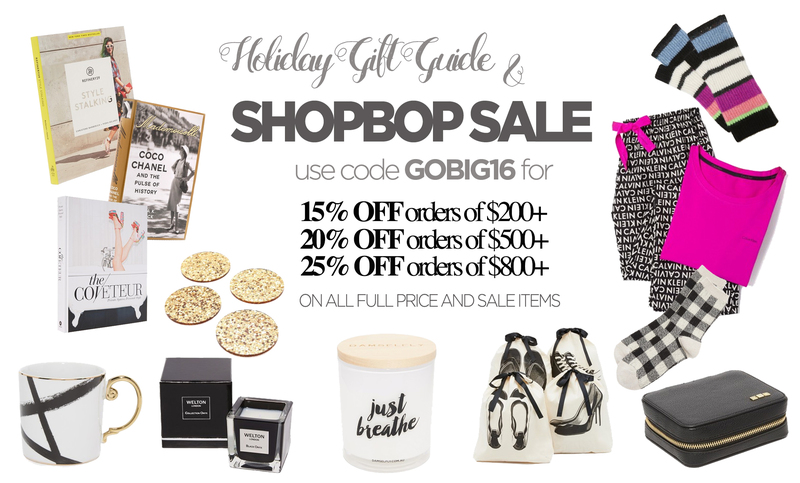 Shopbop is my FAVE OMG, I hate these sales because I always lose money. I love your Kate Spade choice, she’s become my go to for any home items. Love all your choices, wish I had the money to buy them all! Great selection for this gift guide. I am gearing up for lots of online gift shopping in the next few days so I will check these out ! Ooh I love saving money while I shop. It’s such a great feeling. There are so many great gift ideas here! 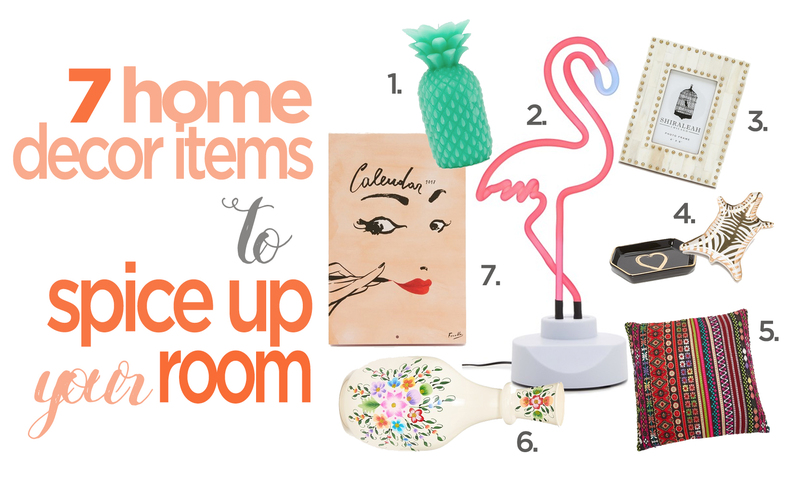 I think my favorites have to be those adorable glitter coasters, the brushstroke mug, and the fun shoe bags! I love this round-up, girly! Have to check out their sale, it sounds amazing. Thanks for sharing beautiful. I’ve not tried Shopbop yet but am all for getting wonderfully thoughtful presents for my family but not spending an arm and a leg. The savings I make I can reinvest to get even more bits and bobs for them! Woo hoo! Thank you for the heads up about these great offers lovely! 25% off for purchases over $800?! That’s so good for these holidays so I can get everyone’s presents at the same place and save! Oh this time of the year is so dangerous. i just want to buy everything. Shopbop definitely has some of the best designers pieces out there and this is a great time to take advantage of their sale. Love your picks darling! wow thank you for putting this together! I need to start my Christmas shopping list now! There are so many good deals on this week!! Trying to keep up! Some of those books are on my list too! Great gift guide! Nice post! I love Shopbop especially I can shop them through Amazon and use my Amazon Prime for fast shipping and easy returns ( If I need to). All great picks for the holidays and thanks for sharing love. I missed out on the last shopbop sale! Need to take part in this one for sure ? Gah so many good picks!!! So stylish babe – I love it all! I love Shopbop! Now I’m going to have to check this out! Such a cool website!! thank you for sharing!! I’m so excited about the holidays sales that are upon us! I need to buy some gifts for my family and friends so I love the options and discounts. how fun, you write in two languages now! such a great post of Holiday gift guide. Im eyeing the candle one. have a great weekend! Loving these picks girl! Especially that shoe bag set. So cute and unique! Love a good deal! 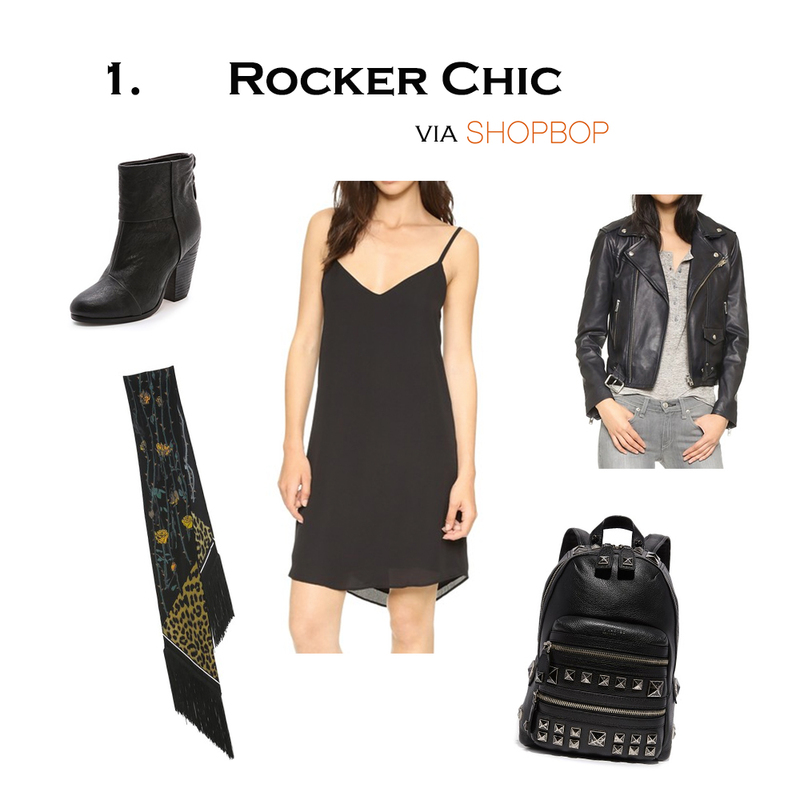 Shopbop is on of my favorite sites! thanks so much for sharing samantha!!! Such great reccomendations babe! Love everything and is So perfect and affordable to give to my friendsto! Thanks for sharing! !